Recently, Peekaboo Magazine featured our blog in their September issue in an article called, "9 Blog Sites You Should Be Reading." They had those of us who contribute to Creative Outpour living in Northwest Arkansas come and represent us in a picture with other local bloggers of note. Heidi & I are in the front row with the black dresses and Rachel is sitting on the slide with the black tank and grey cardigan. So thankful to be included in this group and to meet some of my favorite blog authors! Thanks Peekaboo! 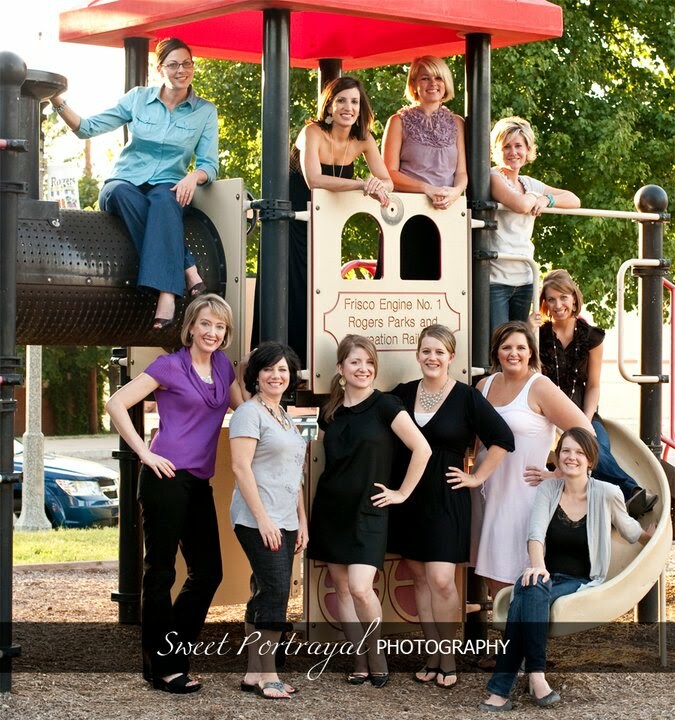 For those of you who aren't familiar with Peekaboo, it is a FREE mommy magazine in Northwest AR. You can check them out here. It looks like Heather Schisler from PassionForSavings.com is on the slide. So glad to see her included. I am incredibly thankful for her site! Congrats! Always enjoy reading Peekaboo, miss not getting down here. Love that they did a blog nod.